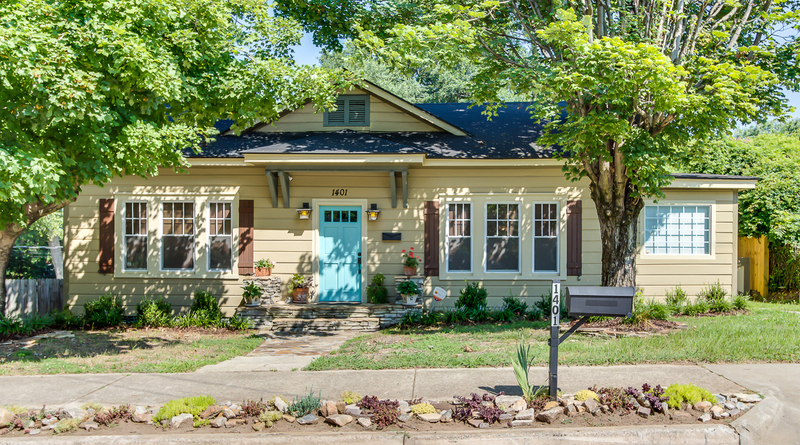 Cozy, charming, cute Craftsman Cottage Bungalow with Dutch Lap siding in the heart of the highly-sought after Historic Neighborhood of Overbrook! Now’s the time to buy downtown, and this is the one you’ve been waiting to see! It’s all about location here! Three bedrooms / one and a half updated baths. Original hardwood flooring, two fireplaces, stacked stone steps, fenced yard with remote gate access for plenty of off-street parking, rear foyer entry, and a happy open floorplan. Upgrades include: new AC unit, designer colors, energy-efficient windows, gorgeous shimmery granite, and updated light fixtures. 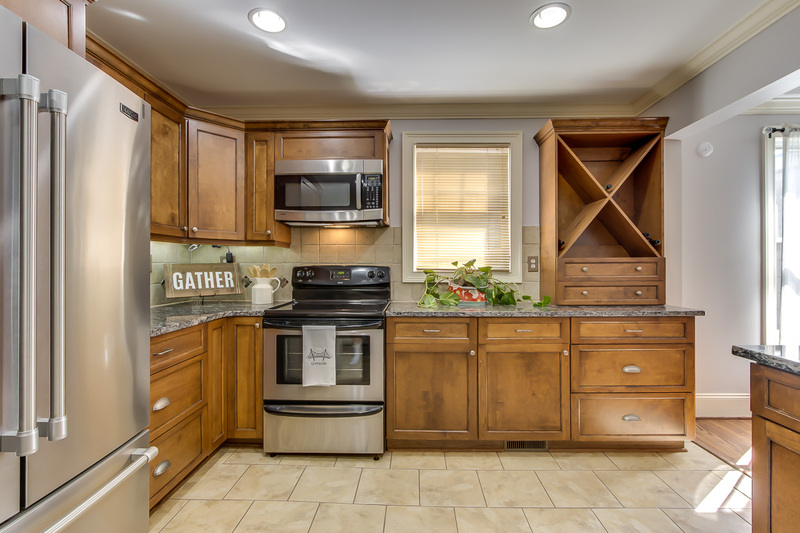 Kitchen has wood cabinetry and wine bottle niche, stone tile flooring and backsplash, stainless steel appliances, snack bar, and three windows. Living Room features a stunning stone stacked hearth next to wainscoting-backed built-in shelves and cabinets. The Master Bedroom is tucked at the end of the hallway and in addition to penty of sunlight, it also has room-wide His and Hers Closets with extra off-season clothes storage areas above. Bedroom Two has a Bed and Breakfast feel to it with it’s original fireplace and picture molding. Bedroom Three overlooks the backyard and has a walk-in closet. The Full Bath has stone tile, granite-topped cabinetry, sconce lighting, and a transom window over the original cast iron tub. Half bath is large and bright and convenient for guests. 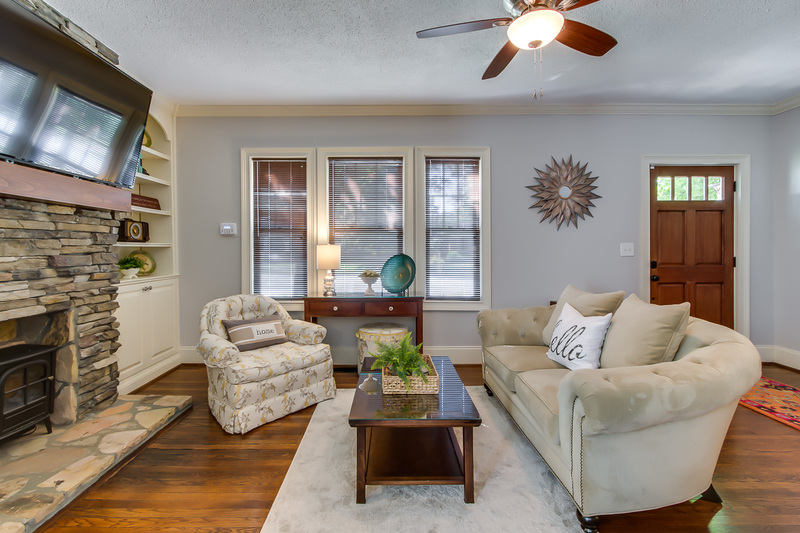 All Bedrooms have sweeping ceiling fans. There is storage under the house as well as the attic. The rear entry wing contains the Laundry Closet, a coat closet, primping-before-you-leave area, and the half bath. 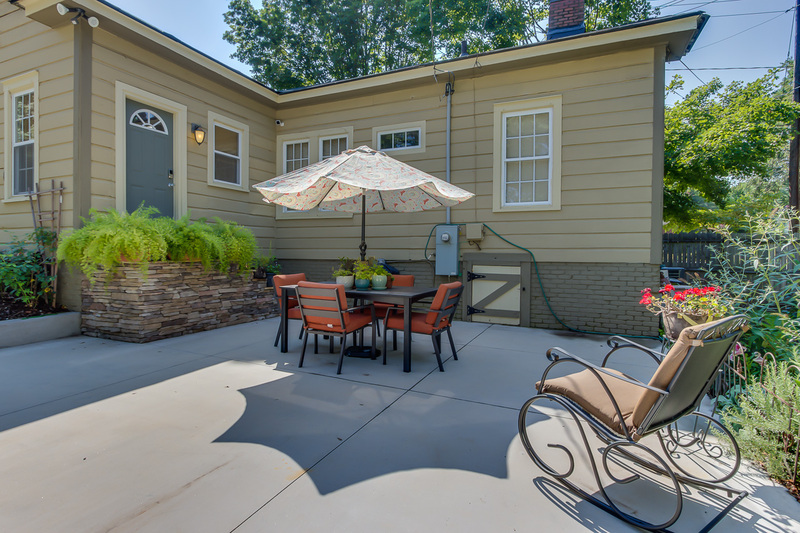 The surprise space is back paved patio / parking pad surrounded by natural mature woods, already blooming and growing garden, and provides a place to unwind and star-gaze in the evenings. Pet and runner / walker-friendly streets one mile from Main Street, Greenville. Come say “Hello, Home!” to 1401 E. North St., it will not last long! I love Greenville for all the adult and family oriented events! Great for dining out and social events. I love Overbrook Historic District because it is a quiet and safe neighborhood. I love running with my dogs and looking at all the old quaint houses. I love that the schools are so close that I can play disc golf, run track and play sand volleyball! I’m close enough to enjoy the parks and downtown restaurants yet able to relax in my backyard oasis. I love Greenville’s diverse restaurants like Universal Joint, Local Cue, Willy Taco – Feed & Seed, Soby’s and Halls Chophouse. I have several choices for shopping and Harris Teeter is being built right around the corner! I was drawn to the house because of the historic area, close to downtown and parks. The house was already redone inside and didn’t need much work to move in. The large fenced in backyard was ideal for my animals to run free and be safe. Greenville is great for being outdoors! Parks are everywhere and the zoo is close. There are events going on all over downtown and several restaurants to choose from! I love to run and hike with my dogs. Greenville has tons of local parks and the mountains aren’t far away to go hike. I like being outside and Gardening, exercising and hiking are my favorites. I love growing my own herbs, fruits and vegetables in my backyard. Entertaining my friends and grilling out in the privacy of my patio is priceless! For an older house, my utility costs are lower than expected because of the large Sugar Maple trees that provide plentiful shade in the hot summer sun. Greenville is great because they provide recycling too and pick up on Tuesdays.